Q. How does a battery work? A. A battery stores energy in chemical form that can be released on demand as electricity. This electrical power is used by the cars ignition system for cranking the engine. The car’s battery also may power the lights and other accessories. Should the alternator belt fail, the battery might also need to power the vehicle’s entire electrical system for a short period of time. Q. What is a Battery Service, and why do you recommend them? A. Nothing works in your car without electricity. All of that electricity comes from your battery. It is the nature of electricity that the connections between your cables and battery attract crud and corrosion. That corrosion will cut your electrical connection. At best, it will make your battery work harder than it should, shorten its life. At worst, it will strand you in a parking lot somewhere without warning. Q. How long can I expect my battery to last? A. 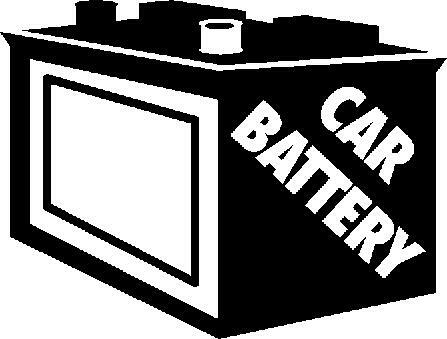 The average battery will last up to four or five years, although in harsh conditions (hot, cold) it may last only two to three. However, life will be significantly shorter if the battery is constantly undercharged (from constant short trip driving or an electrical problem) or if the water level drops too low. Q. What is a VAT test, and why do you recommend it when my battery is dead? A. Our goal is to keep you on the road. That is why we always recommend doing a VAT (Volt Amp Test) test whenever you have a dead battery. Your battery may be dead simply because it is old and tired. But it may also be dead because your alternator is malfunctioning, or for a dozen other reasons. The VAT test is designed to identify problems in your electrical system. Q. When I am replacing my battery or cleaning the terminals, why is it important to remove the ground wire first? A. Before you start, always check the type of grounding system the vehicle has. If you remove the positive connector first in a negative ground system, you risk the chance of creating a spark. That could happen if the metal tool you’re using to remove the positive terminal connector comes in contact with any piece of metal on the car. If you are working near the battery when this occurs, it might create an ignition source that could cause the battery to explode. It’s extremely important to remove the ground source first. Q. How can I tell if a battery is fresh? Q. What can excessive heat do to a battery? A. Hot temperatures will deteriorate a battery’s life quicker by evaporating the water from the electrolyte, and corroding and weakening the positive grids. Q. When my car won’t start, how do I know for sure if my battery really needs to be replaced? A. Many other problems can keep a car from starting, so you need to do some troubleshooting. Stores that sell batteries will often do battery testing free of charge, so that is a good first step.